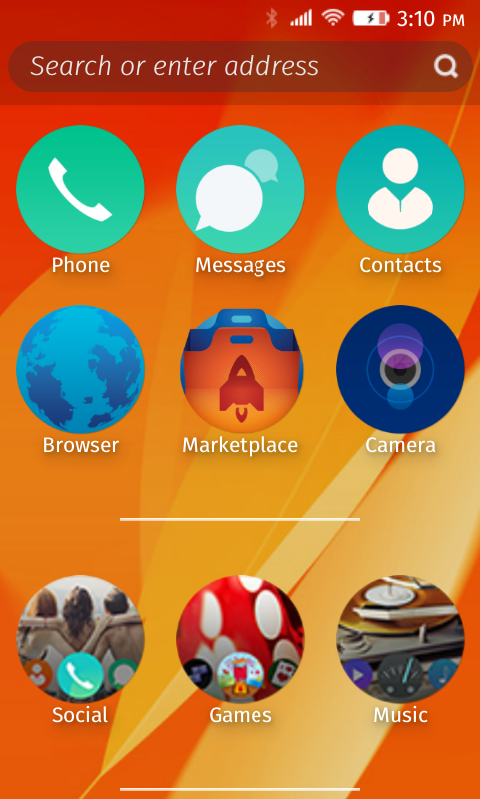 This is my build of Firefox OS for ZTE Open C / Kis 3 (Beeline Smart2, Moche/MEO Smart A16, ZTE V811W, ZTE V811, Skinny V811, Optus Hop Smart, ZTE Blade M, etc). This is not meant for daily use (or any use really), it’s just something for advanced users to play with. This build is based on the latest CAF release LNX.LF.3.5.1-11900-8x10.0 and it’s Boot2Gecko 2.0.0.0-prerelease. Important. Prerequisites!!! You need to install Android KitKat on your Open C first (e.g. EU_FFOS+to+Android.zip will do). Yes, that’s right - this build is based on KitKat unlike the official ZTE Open C Firefox OS firmware. You also need to have this ClockWorkMod recovery installed (TWRP seems to have some issues with CAF otapackages :o). Something wrong with media scanner - everything works fine after visiting ‘Settings->Media storage’ once and letting it fetch SD card statistics. Camera is a bit temperamental sometimes - it’s recommended to close the camera app from multi-tasking view after using.